Are you a small producer? Enter the awards today! The Small Producer Quality Food Awards is now in its fourth year and, thanks to our partnership with the Co-op, promises to be our biggest and best yet. The value from entering is phenomenal; enter into any of the awards and your product will also be eligible for the Small Producer Awards. You will benefit from a reduced entry fee and detailed feedback from industry experts, along with the potential opportunity to pitch to Co-op buyers directly. These awards deliver tangible rewards, so get your entries in early - and good luck! Stage 1: Simply enter your product into any of the Quality Food Awards for the reduced fee of £125 + VAT by Friday 14th June. Stage 2: In addition to your entry being judged in the Quality Food Awards, our expert judging panel, working closely with the Co-op, will also select products to be put forward for the Small Producer Awards. Stage 3: Shortlisted products are invited to take part in a food innovation and product development day with FBDC. This ensures your product is perfectly primed and ready to be taken through to the final stage of judging. Finalists will also have the opportunity to take part in a 'get ready with SALSA' workshop to enable you to work towards becoming SALSA accredited or benefit from fine tuning your business to meet SALSA requirements. Stage 4: Held at The Atrium at Co-op HQ, shortlisted companies will have the opportunity to have a pop up stand to enable tastings and real-time with Co-op food buyers. You will also be asked to present a Dragons’ Den-style pitch to Co-op executives. 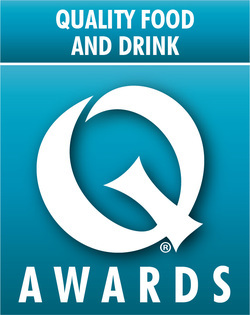 Stage 5: Winners are announced at the Quality Food Awards awards ceremony on November 22nd at The Brewery, London. Entry criteria: To be considered a small producer, your business should have fewer than 10 staff and annual sales no greater than £2 million.